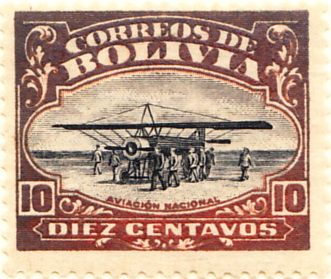 In 1863, Bolivia invited tenders for the printing of stamps, awarded the contract, then cancelled the project after the stamps had been printed but before they were issued. 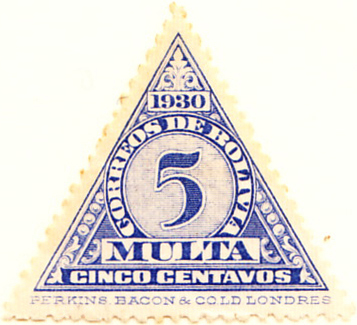 Curiously, the unissued stamps were commemorated in 1963 with three stamps (one shown) and the miniature sheet shown on the back of page one. 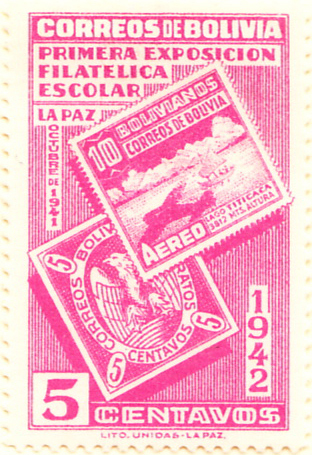 National stamps were issued in 1867, though the date is not known and commemorated in 1942, the 75th anniversary (early first issue commemoratives are discussed in the Romania listing in Display 5). 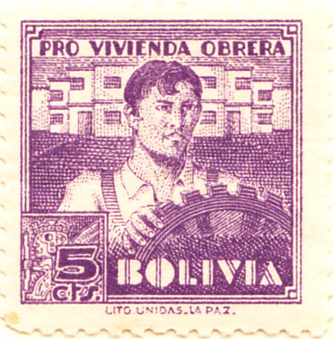 Occupation issues and Offices Abroad are shown in separate displays. 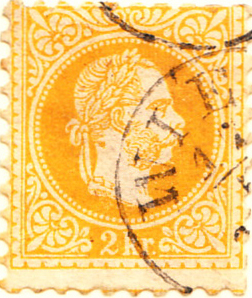 Notable in this period is the 1867 issue for Austrian Offices in Turkey. 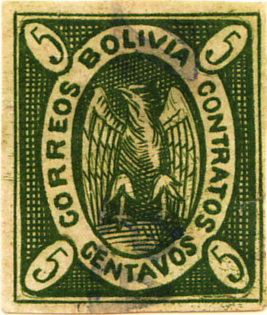 Between 1863 and 1867 Austria used the stamps of Austrian Italy (Lombardy and Venetia), until that territory was lost in the Seven Weeks' War. 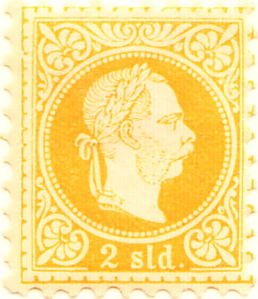 In 1867, stamps were issued for the previously separate postal administrations of Austria and Hungary and the same design, but denominated in soldi, was used for Austrian Offices in Turkey.